After not being able to get out fishing for three weeks, I was becoming desperate. It has been a long time since I have had such a gap between sessions. I managed to take advantage of a drop in the wind on Sunday to get out on to Chesil beach with my friend Paul. We had the whole of the beach to ourselves, all the way from Portland to as far as we could see. After spending all afternoon on the beach, we almost wished we had not bothered. You know its not great session when you get excited about catching a Pout and a half pound Bull Huss. The features of the beach have certainly changed a lot. It has become a lot flatter and quite possibly as a result it may be a lot shallower at the Portland end. I probably wont fish the beach until the end of the month unless I hear of another run of Cod, but that is unlikely. We are due for another week of storms, so even if I wanted to get out on Chesil again, it is not going to be fishable most days.We can only look forward to the return of the Plaice in the spring. 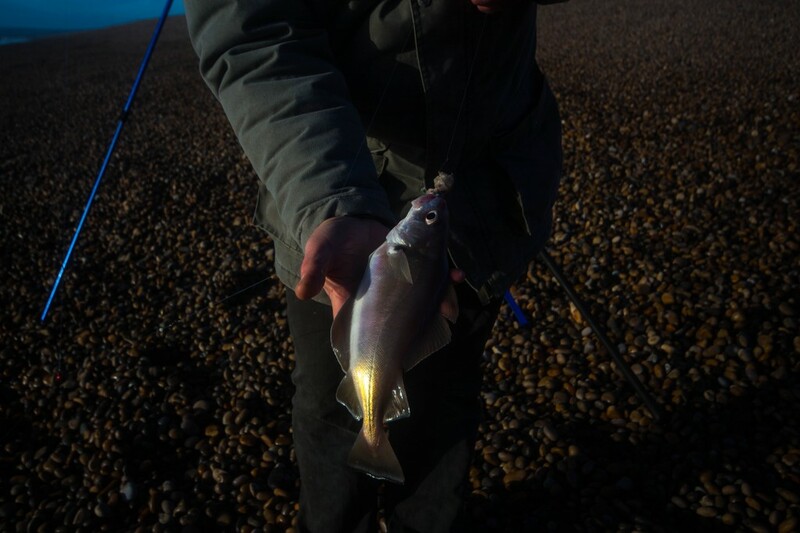 Although Chesil is fishing poorly Preston Beach is fairing a bit better, with several Bass landed over the weekend including a 4 1/2lb fish during the Samalite match. Several commercial Bass boats have had huge hauls on lures last week, with one boat landing 600kg in one day, with the largest Bass going 16lb. I have been sworn to secrecy about where the fish came from, I can say that it was from Dorset waters. Portland: 2-3m waves with coloured water. Weymouth Bay: light surf. The water is lightly coloured. 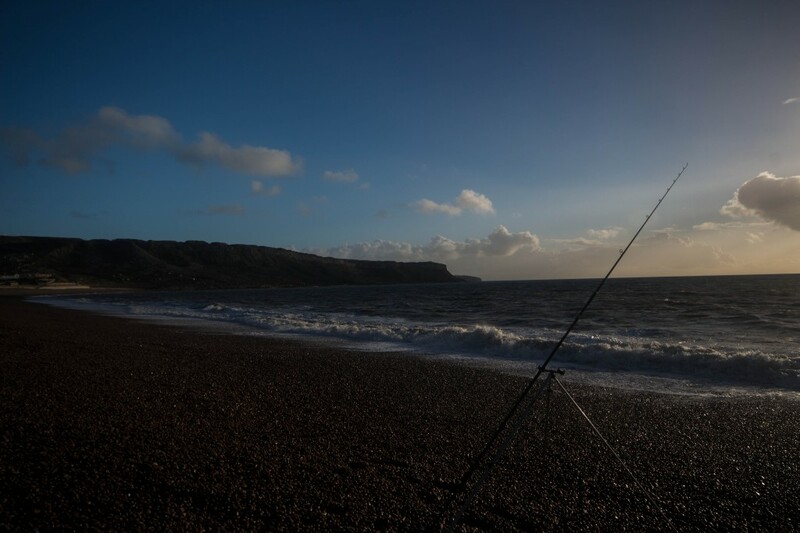 Chesil Beach forecast: Pretty poor fishing from Chesil even when the conditions are safe enough to fish. 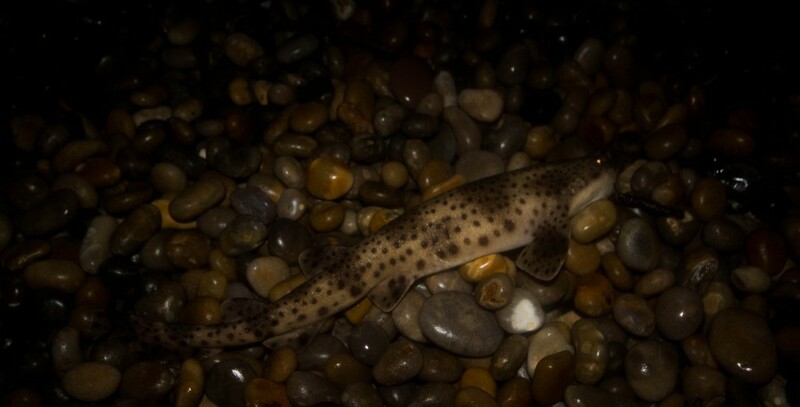 Don’t expect much more than Pout and Dogfish from the Portland end of the beach. Further to the West you are more likely to pick up the same with the addition of Whiting. With high winds forecast for all week except Tuesday morning and Thursday, you have to seriously think about an alternative venue. Portland: One species that don’t seem to mind rough and dirty conditions are Bull Huss. It can bring double figure Huss within casting distance of the shore. You have to go heavy if you want to attempt to land these specimens. I use a Greys Apollo Rod and a Diawa SL30sh reel with 30lb line straight through. Rotten bottom rigs are essential, so you will need plenty of weights. I normally use a whole Mackerel flank for bait. You will be surprised what else will pick up a bait that size. I have had 1/2lb Rockling take the bait regularly. Conger are also active during the day when the water is heavily coloured. Portland Harbour: I have only heard of some Flounder coming from the harbour over the past weekend. There will be the odd Bass hanging around, so it is always worth fishing with a live Peeler if you can get them. Weymouth Bay: As I mentioned earlier, Preston Beach is producing fish. A few reasonable sized Bass have been caught, but the remainder of the fishing has been fairly poor. Pout, Dogfish, Flounder, Dab and plenty of pin Whiting. If you want easy fishing, then have a go from either pier. Sea Scorpion, Pout, Pollock and Flounder are all regularly caught there even during the worst of the winter weather. One Response to "At last I managed to get out fishing"
Three of us went to Abbotsbury and fished low tide, I was the only one to catch? one small Rockling. There were a few anglers just over the top and could see one down by the teeth. We went to the right as did two others. The report we got from a walker was no one had caught.